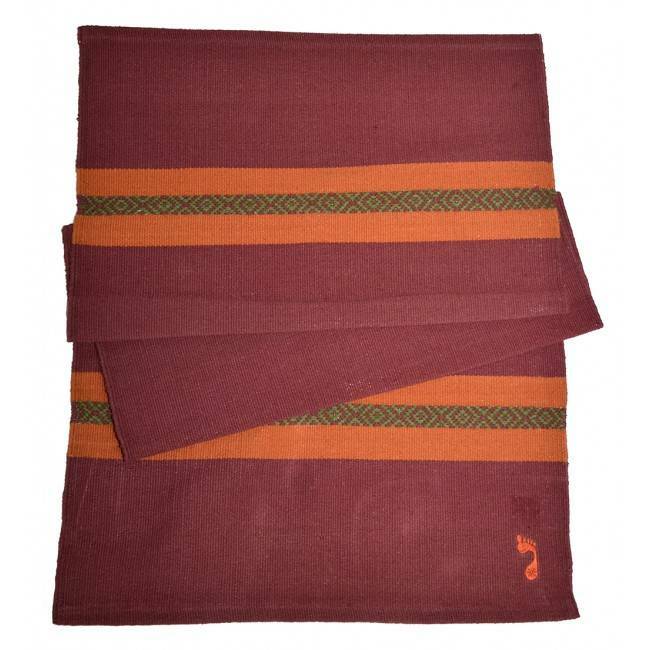 Burgundy colored with burnt orange and dark green stripes and Indian accents at top and bottom. Putting my face to the ground where people and animals have walked for centuries took my attention away from my yoga practice. My mat became sacred to me and was all I needed between my body and all that history.